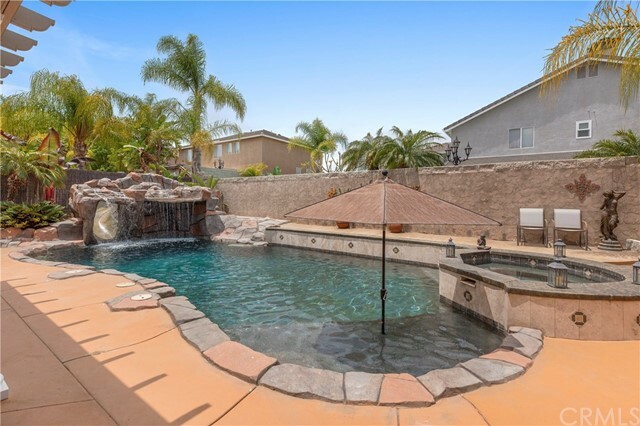 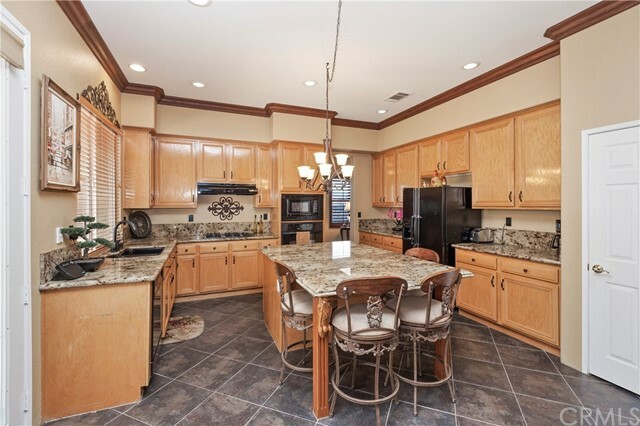 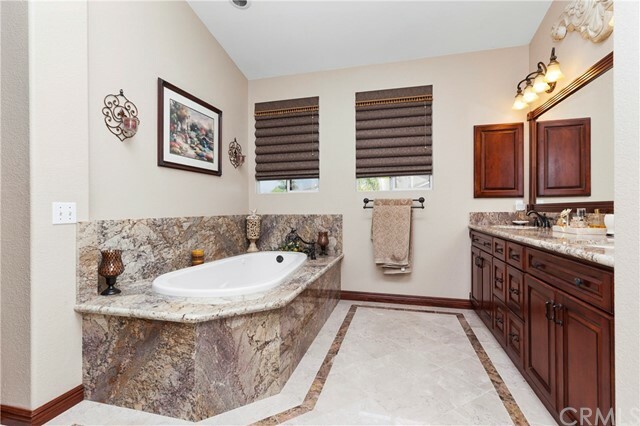 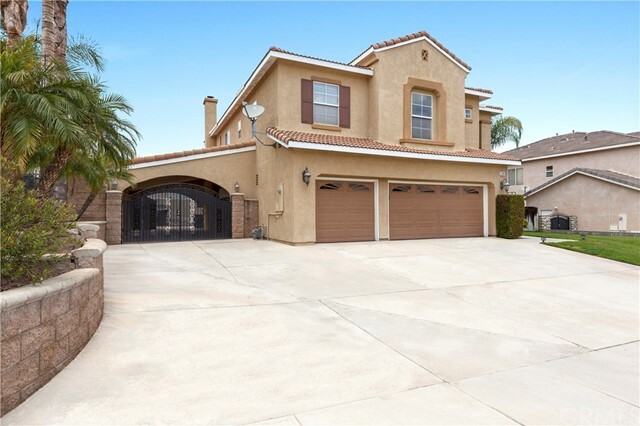 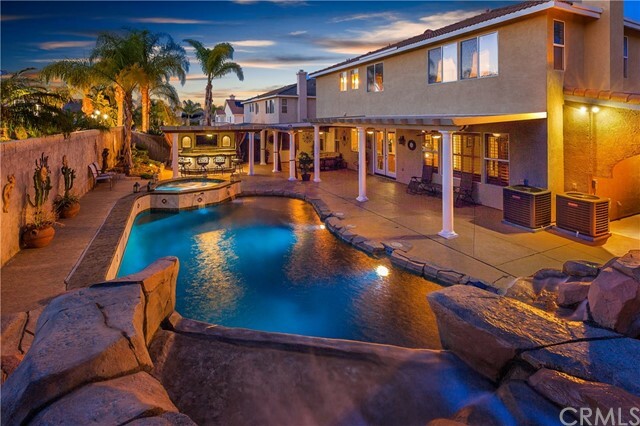 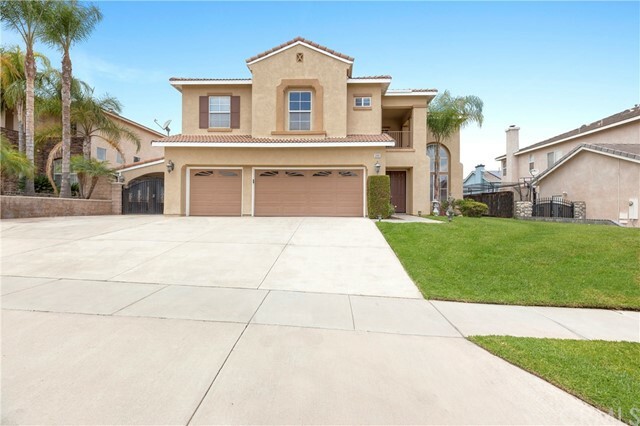 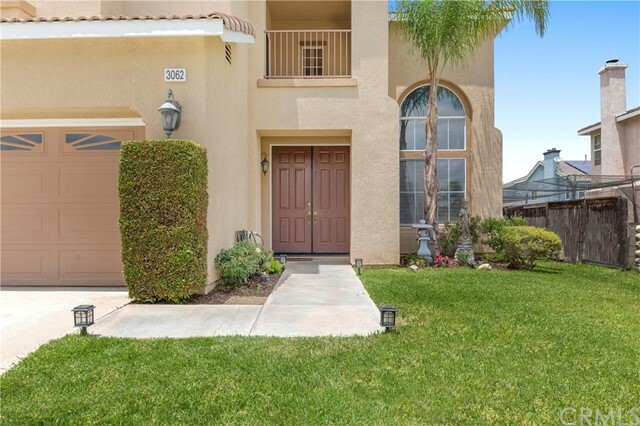 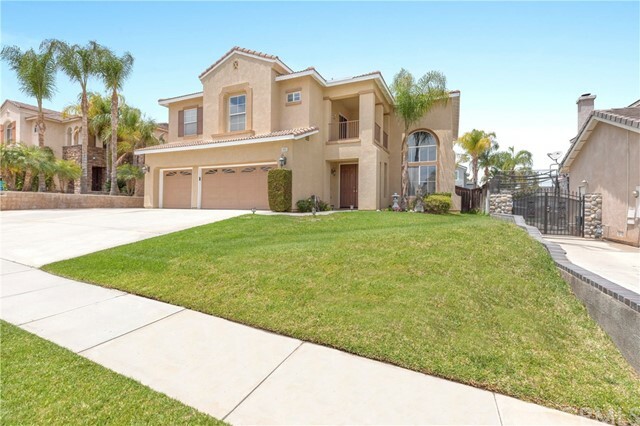 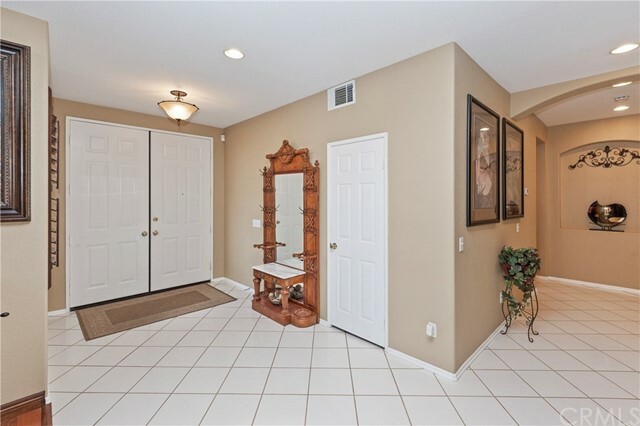 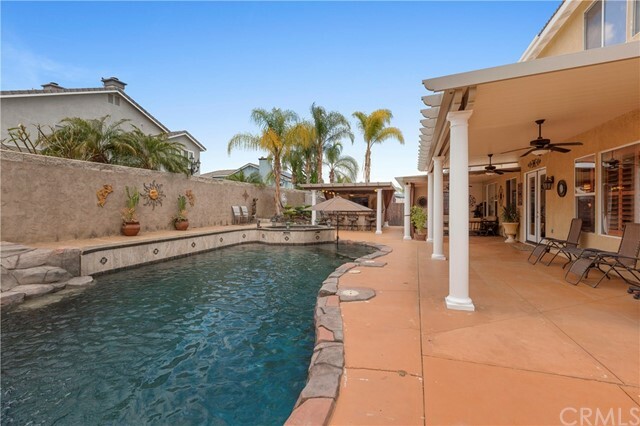 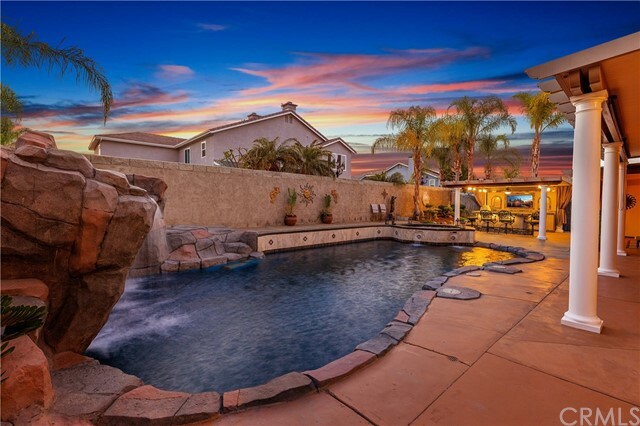 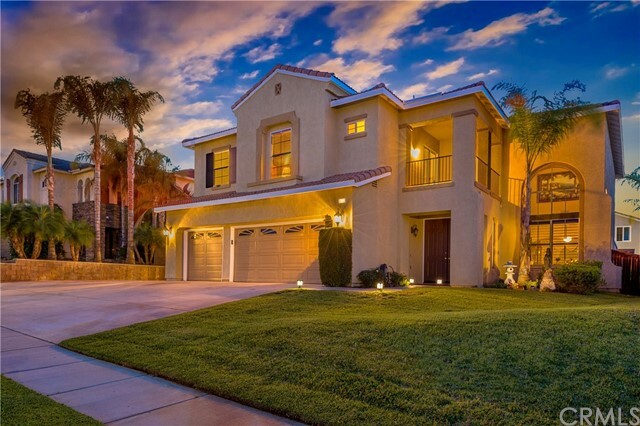 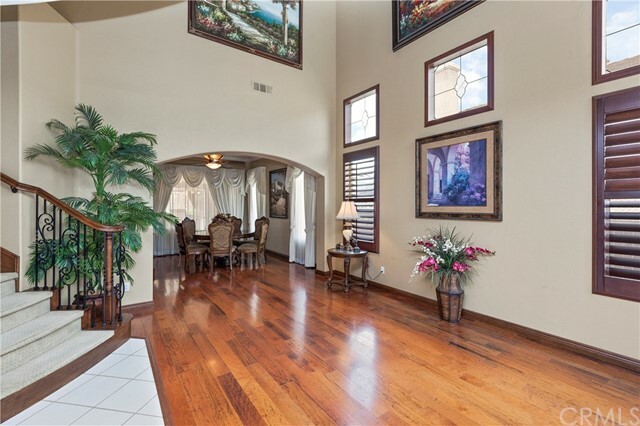 Stunning Pool Home in the highly desirable Amberhill Estates in Corona! 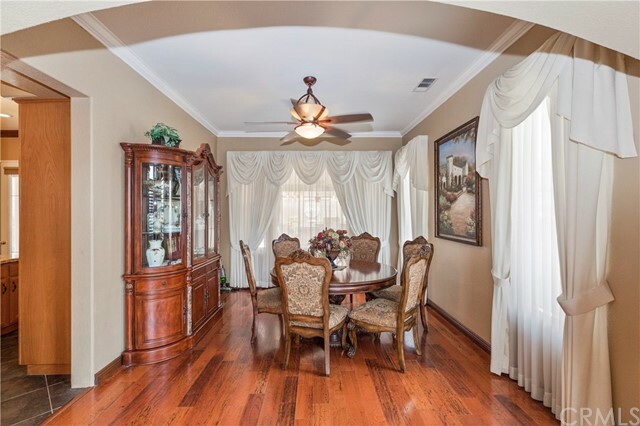 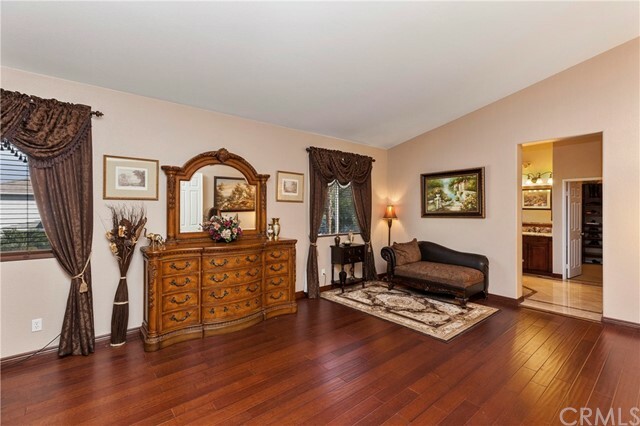 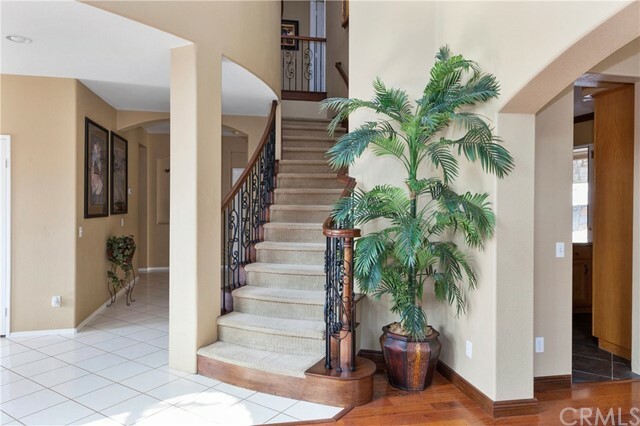 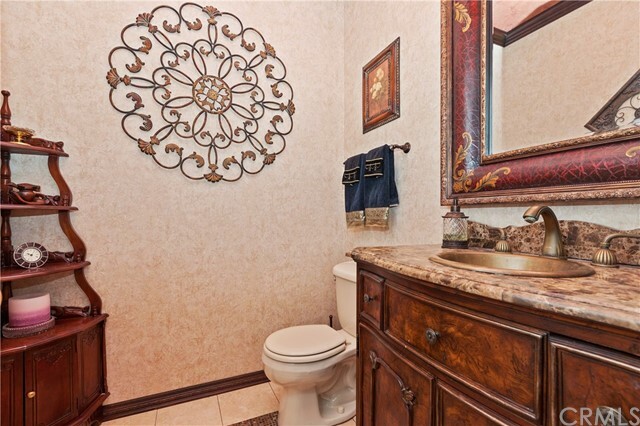 This home features 5 bedrooms, 4.5 bathrooms within a spacious 3,700 square feet of open living space. 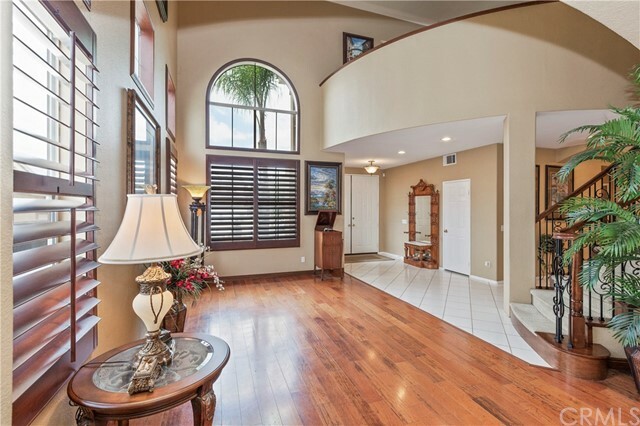 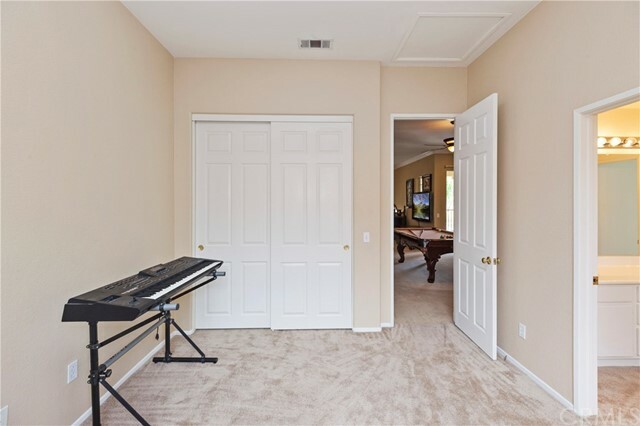 As you walk through the double doors you are welcomed the formal living with high ceilings, plantation shutters and gorgeous hardwood flooring. 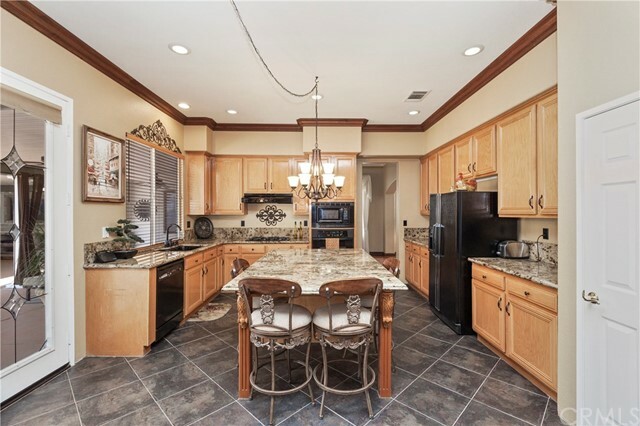 The gourmet kitchen concept features crown molding, recessed lighting, granite counters, walk-in pantry and large kitchen island that is ideal for preparing your gourmet meals! 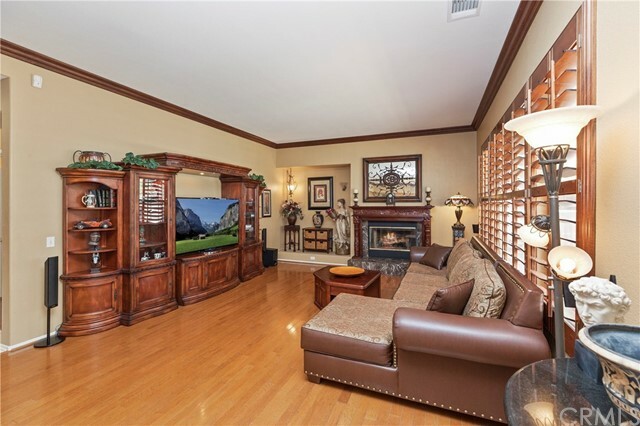 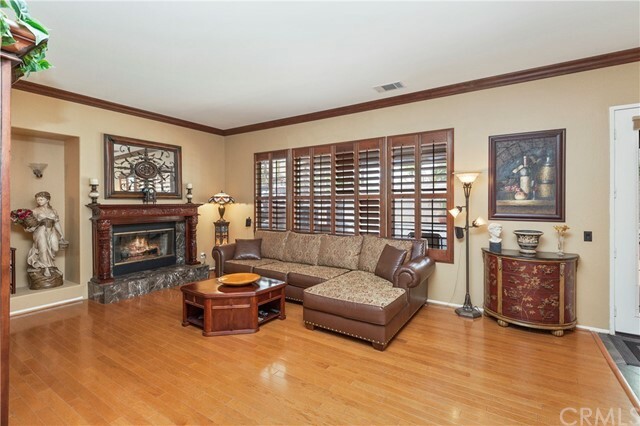 The family room features crown molding, plantation shutters and a cozy fireplace perfect for relaxing. 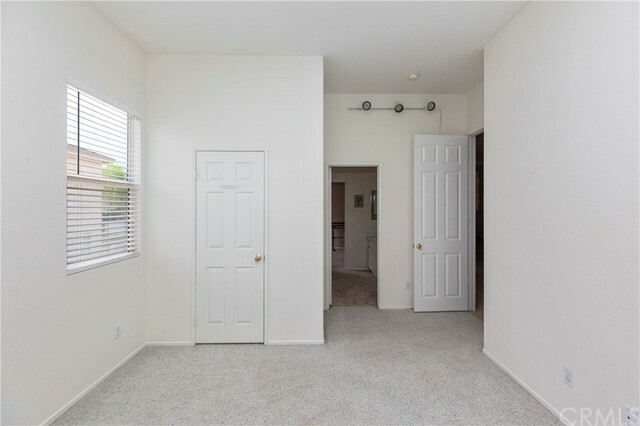 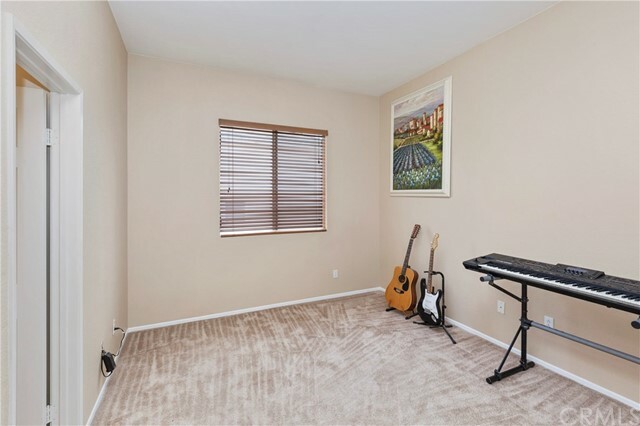 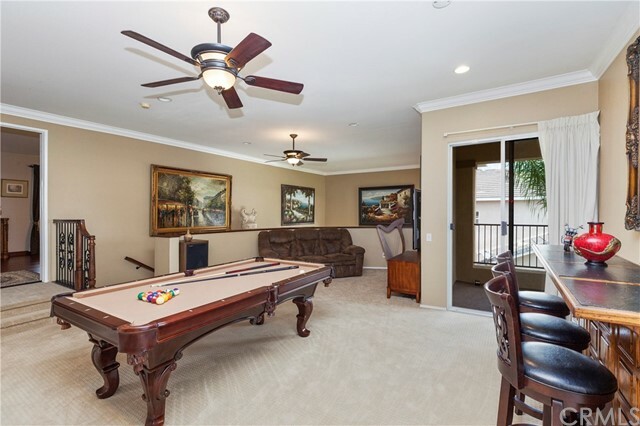 As you venture upstairs you are welcomed to a spacious carpeted permitted loft addition with ceiling fans and private balcony. 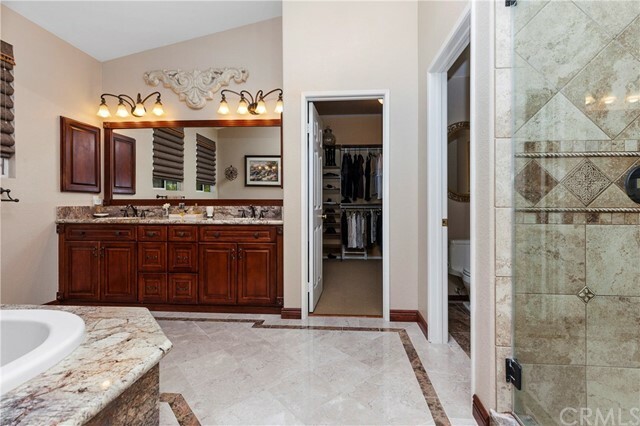 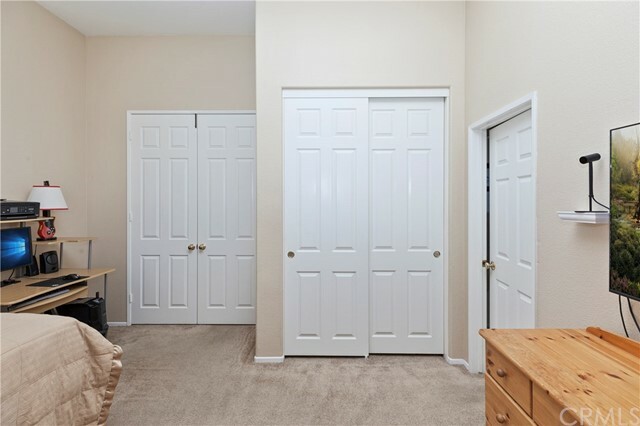 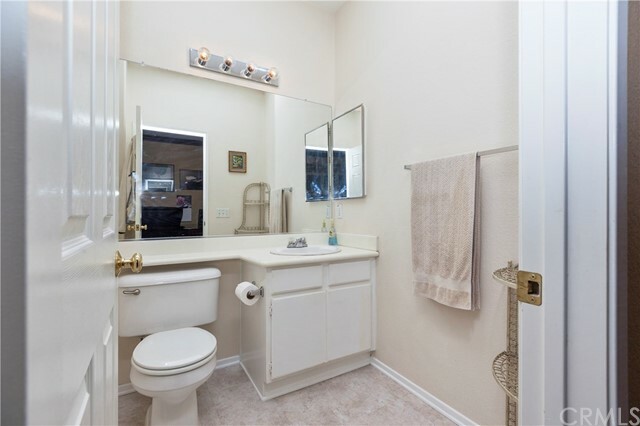 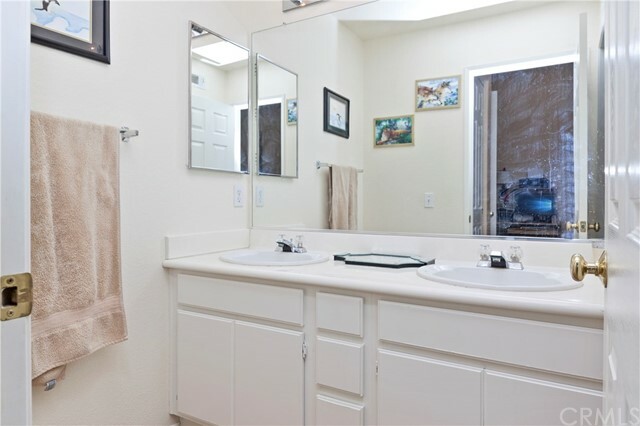 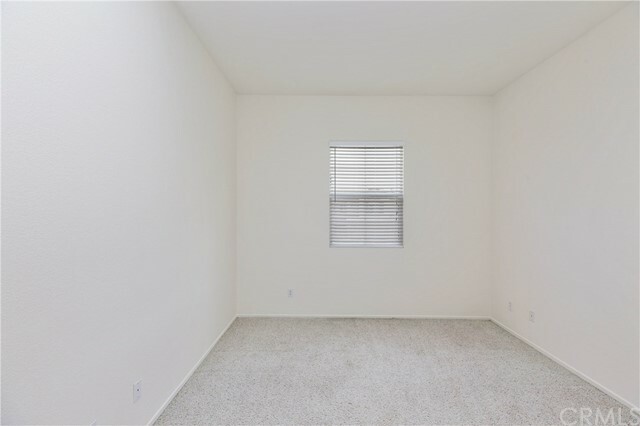 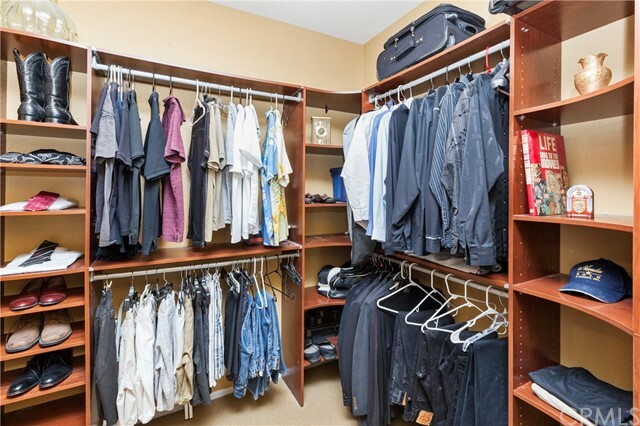 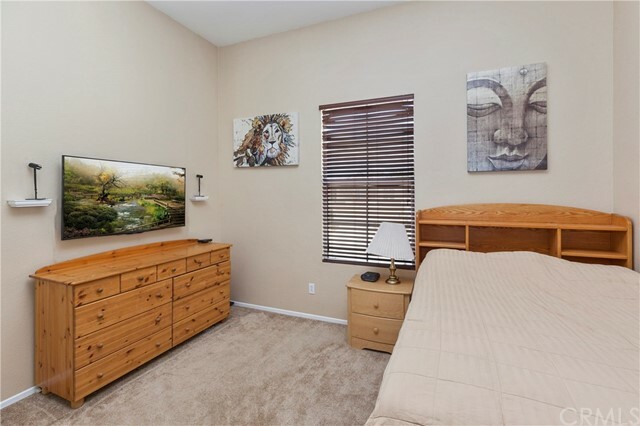 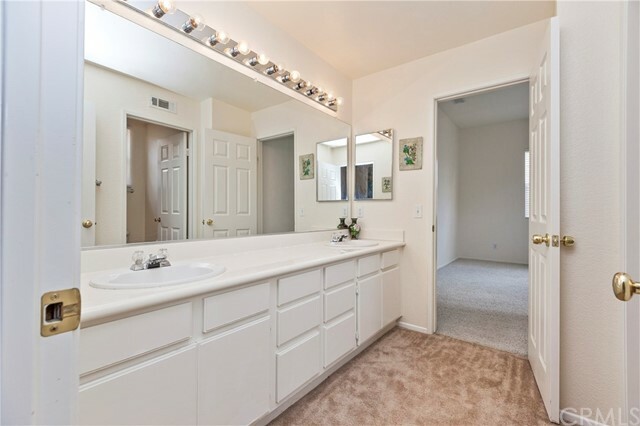 The master bedroom suite is spacious with a sitting retreat, walk-in closet and private bathroom that features a double sink vanity, luxury Jacuzzi tub and separate shower stall. 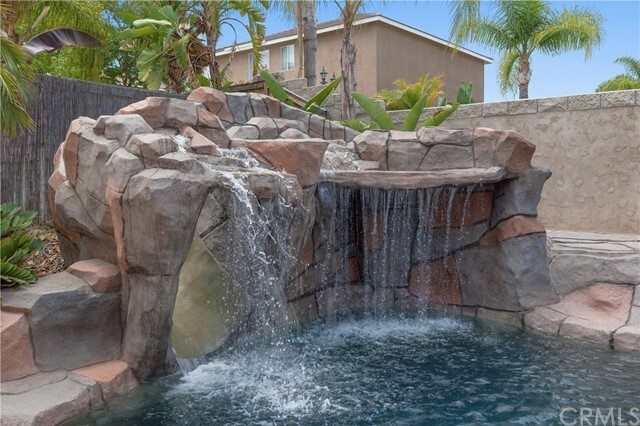 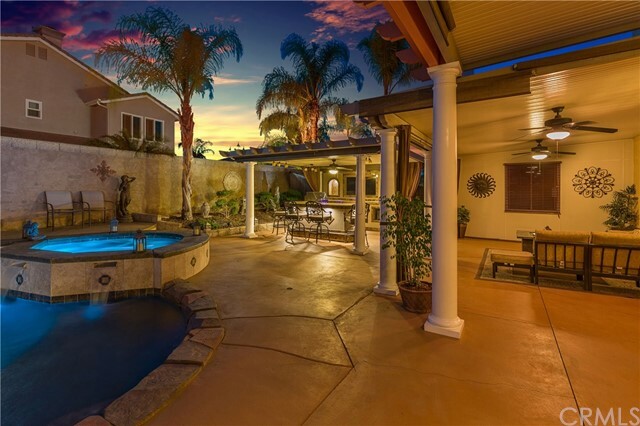 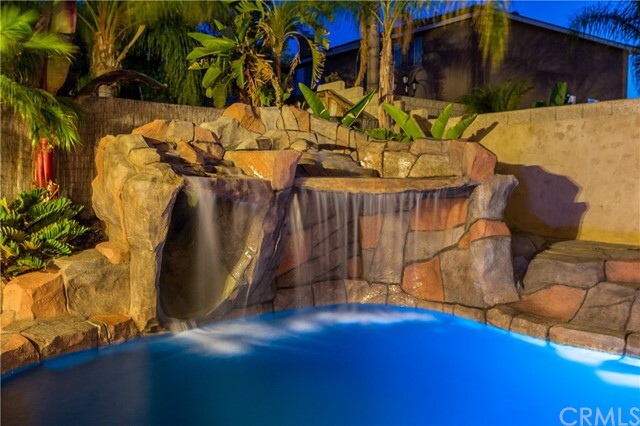 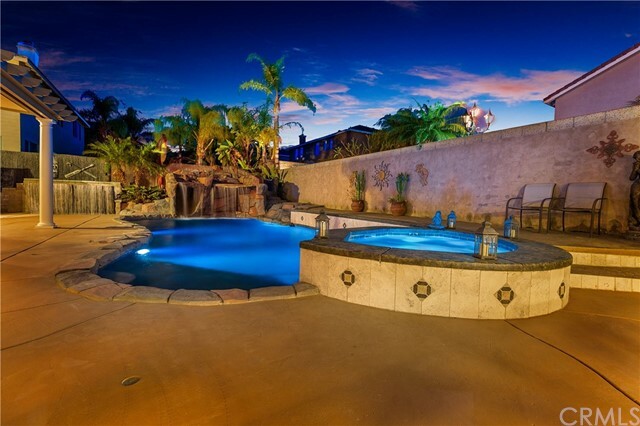 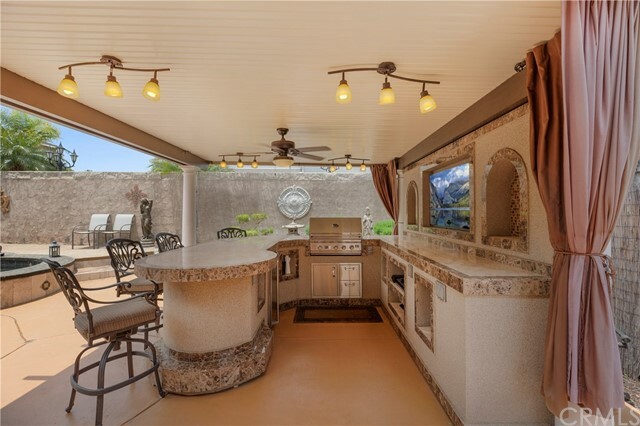 Walk outside to an entertainers dream backyard with a covered patio with ceiling fans, beautiful rock pool with slide, waterfall, large reef step and Jacuzzi. 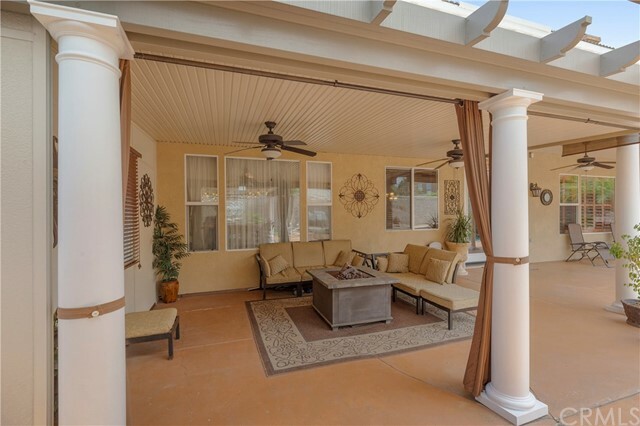 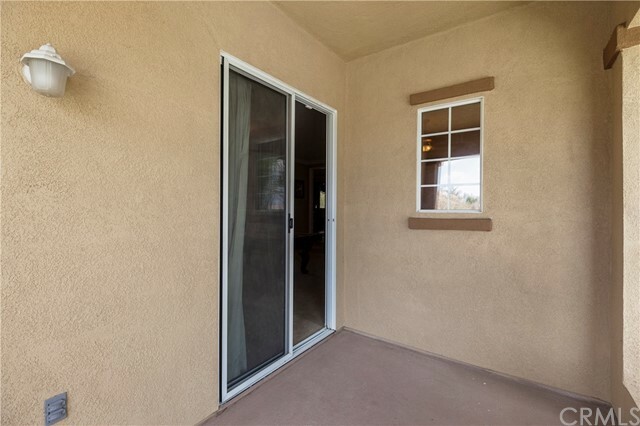 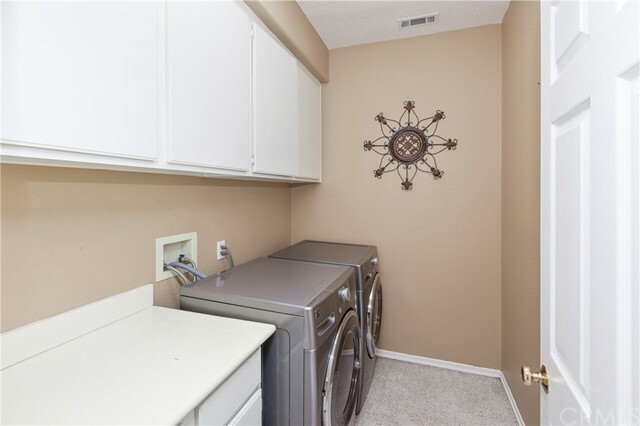 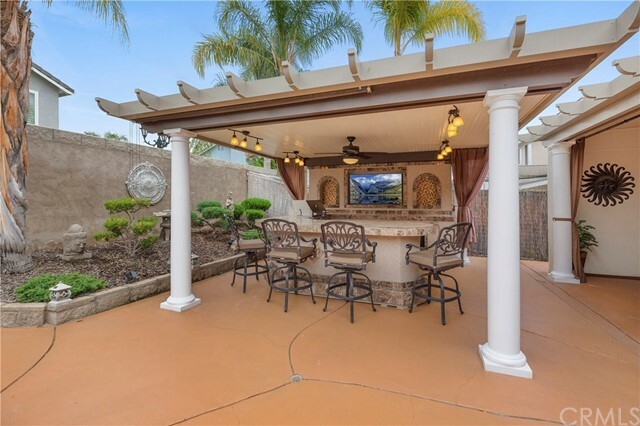 You can also sit and enjoy your company outside under a separate permitted custom patio cover with ceiling fans and custom built-in BBQ island with entertainment center. 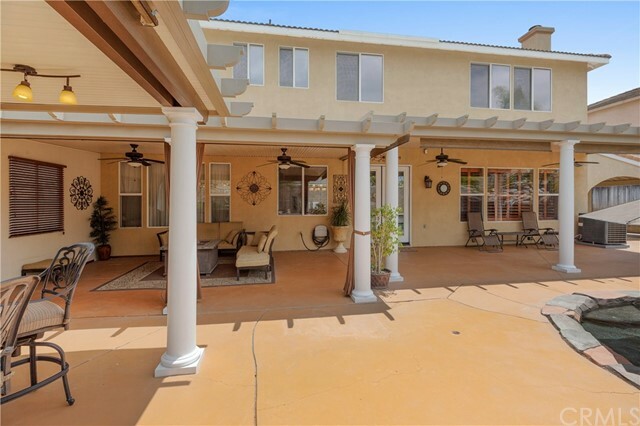 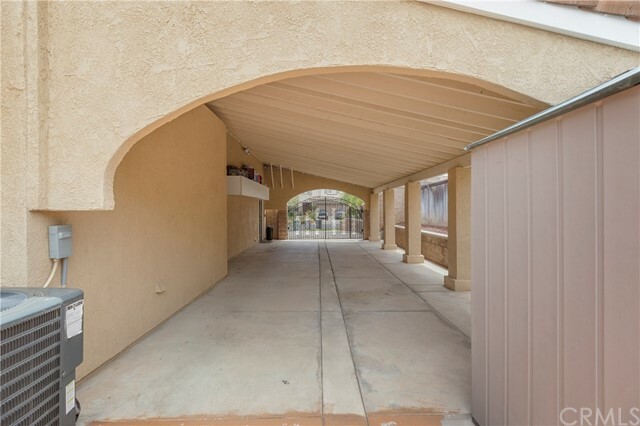 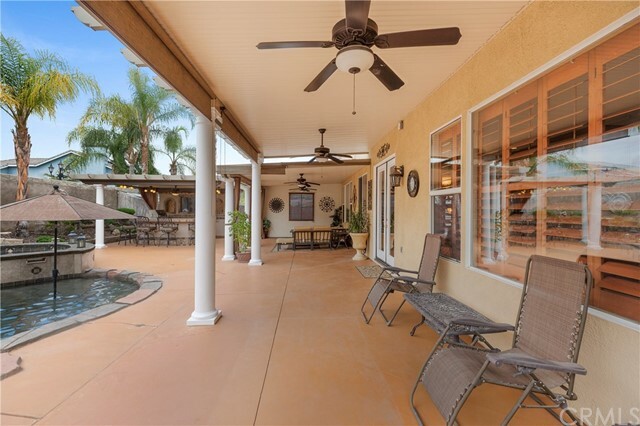 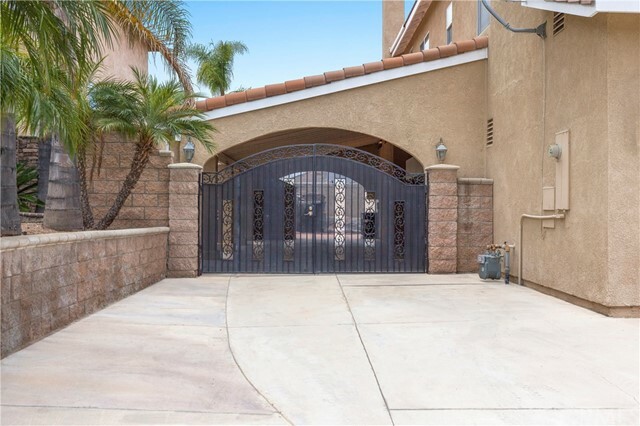 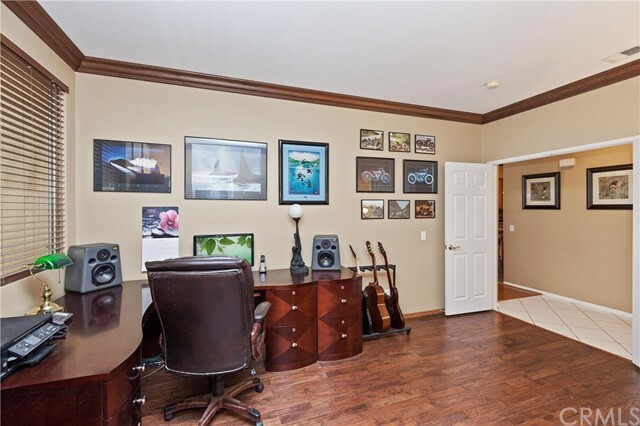 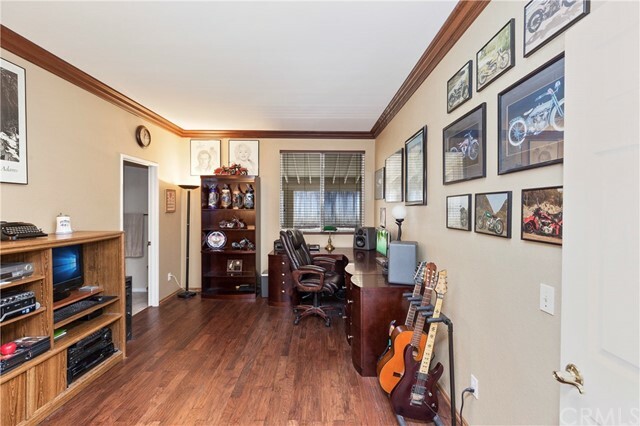 This home also has a beautifully gated permitted covered boat parking and RV parking in the driveway. 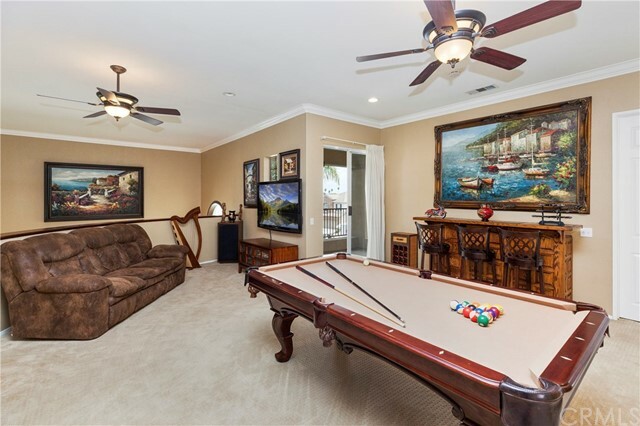 This home has it all and is conveniently located near excellent schools, shopping, restaurants, golf and more! 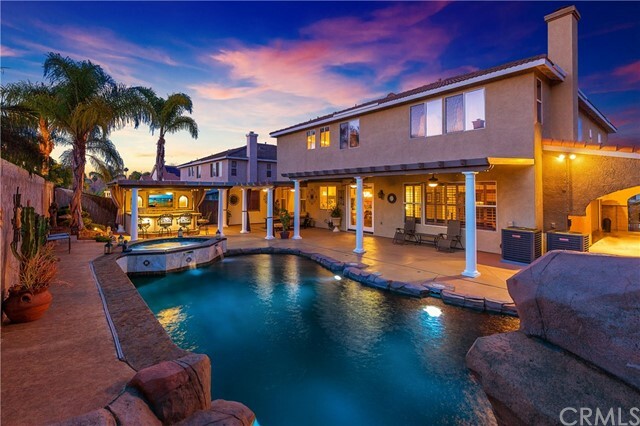 Don't miss out on this incredible home!